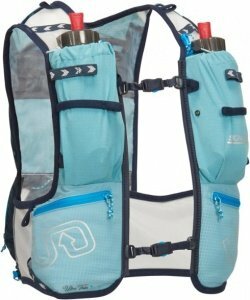 Choosing a women’s hydration pack can be a hard task with so many brands to choose from. I know first hand what’s important to a woman while trail running for many hours in the mountains. Important factors include: comfort (fitting to the female body shape), storage capacity, durability, style and cost. With that said, I’m here to help you find a hydration vest that I know you’ll be happy with, but that’s also the best choice for you. 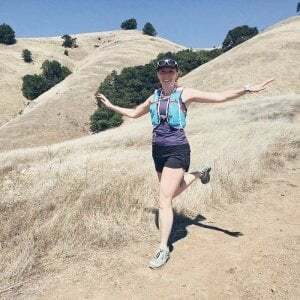 This list of the 5 best hydration vests for women includes 5 great running packs that all perform excellently on the trails. 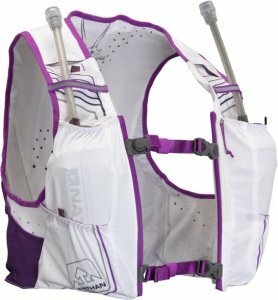 The hydration vest that’s best for you will be determined based on comfort, features, style and cost, all of which is discussed below. 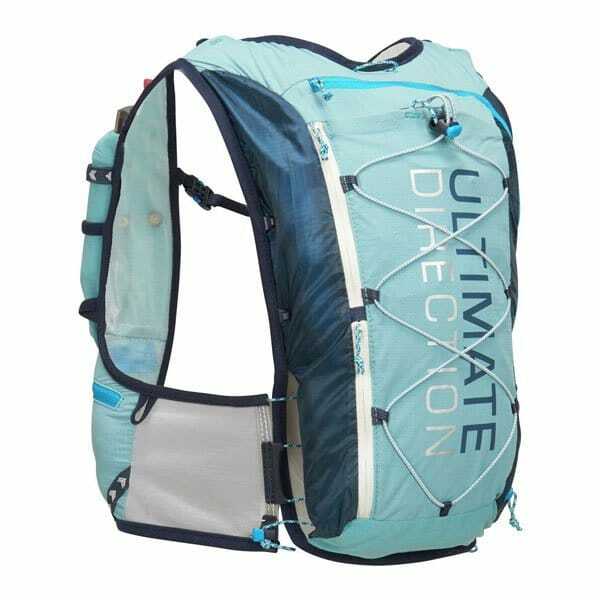 The Ultimate Direction Ultra Vesta 4.0 hydration pack has some excellent features and it looks great whilst on. Big thumbs up for the adjustable fit, many zipped pockets and tidy pole-carrying solution. 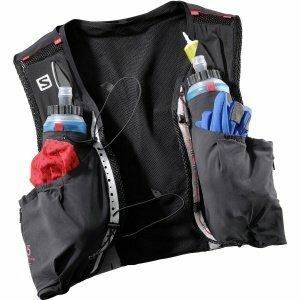 It’s a great all-round running vest for long days out on the trails. For shorter trail excursions where you need less water and accessory storage, have a read of my thoughts on the Nathan Speedster 2l, which is designed for shorter runs, and comes in at a more pocket-friendly price point. This pack includes 2x 500ml Body Bottle collapsible soft flasks (UD own branded bottles) that sit in the front holsters. 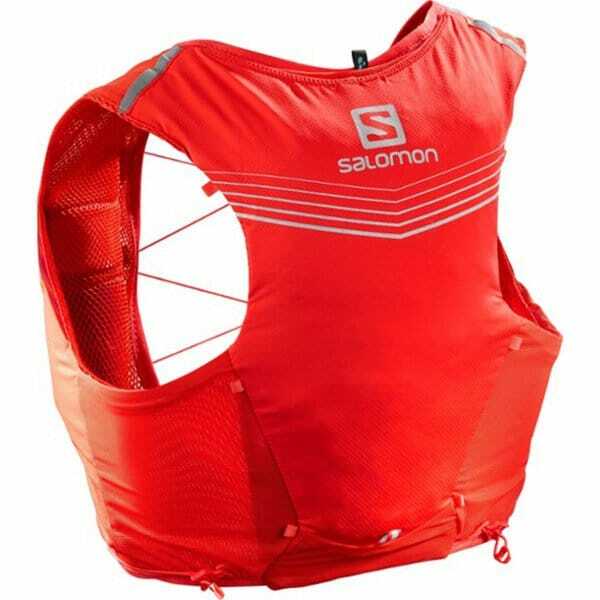 The Salomon S-Lab Sense Ultra 5 Set is built on Salomon’s SensiFit system that’s designed for a contoured, comfortable fit that’s snug and close to the body. There are lots of pockets for storage that are all easily accessible. These pockets include 2x front soft hydration pockets, 1 chest zip pocket, 2x side zip pockets, 1 back kangaroo pocket, 1 chest stretch pocket, 1 back main compartment, and 2x front stretch pockets. Salomon uses elastic power-mesh materials for the Sense Ultra 5 Set that is lightweight and completely chafe-free while running. This breathable and moisture-wicking unisex race pack also includes a whistle (a requirement in many long mountain trail races), reflective decals for safety if running at night, and 2x 500ml soft flasks for hydration. 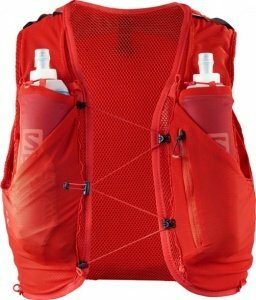 The Nathan VaporHowe 4L 2-0 Race Vest fits more like a lightweight piece of apparel than a typical race vest, similar to the Salomon S-Lab Sense Ultra 5 Set in that respect. This means that the vest provides a ‘bounce-free’ ride, and because it’s a women-specific design, it offers a very comfortable body-hugging fit. The material used is moisture-wicking and has perforated laser-cut pinholes for breathable comfort during those extra hot weather days. Looking to the front, you’ll find the two pockets to house the included soft flasks, nutrition, smartphones sized up to iPhone 6 and other essentials. 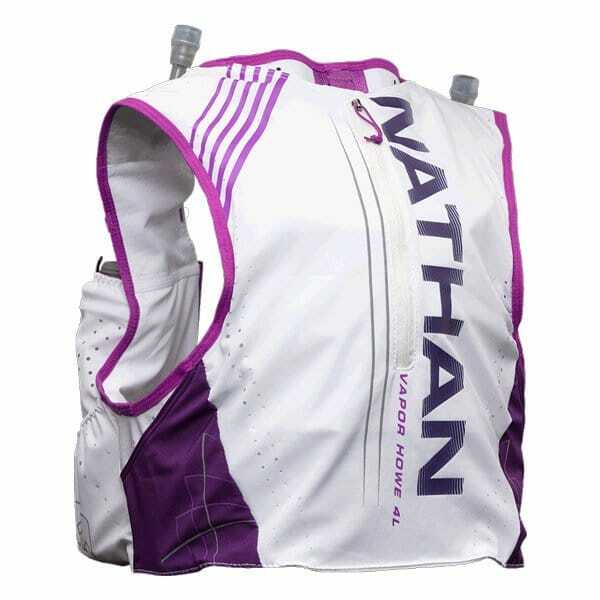 The soft flasks that come with this women’s race pack are slightly different from the competition, at 600ml (20 oz) each, they are larger and come with extended straw tubes for easy sipping without removing flasks from the front pockets. Pretty cool! If this isn’t enough water for your long runs, there’s also a rear main pocket with an internal pocket that’s compatible with a 1.5-liter hydration reservoir (not included). 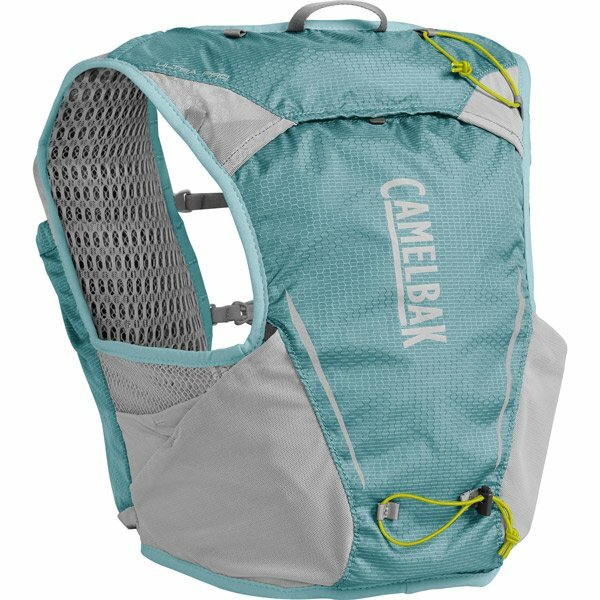 The CamelBak Ultra Pro Hydration Vest is made from a lightweight 3D vent mesh that’s breathable and comfortable throughout a long run. 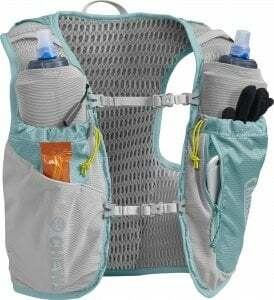 The dual adjustable sternum straps stabilize the pack, reducing any bounce as you run. There are plenty of easily-reachable pockets for stashing a layer, snacks, energy gels, and whatever else you may need. It comes in 4 different size options and you’ll get 2x 500ml (17oz) high-quality CamelBak branded soft flasks with it. 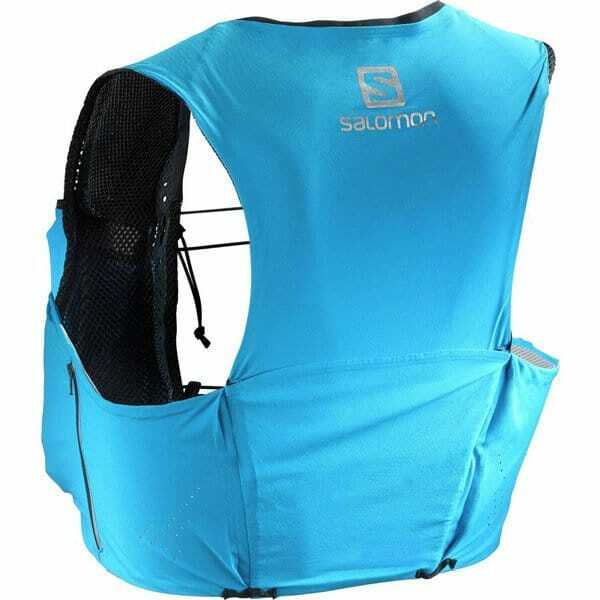 The Salomon Adv Skin 5 Set Hydration Vest Sensifit construction offers a snug, precise, comfortable fit and balances the load between the front and the back, so you can move quickly and freely. An innovative elastic sternum-strap design allows you to adjust and connect your pack quickly while on the move; with non-constricting breathing during intense activity. The pack can carry poles and accessories too and comes with 2x 500ml soft flasks that, due to the design of soft flasks, will stay balanced as you run, with zero sloshing or bouncing. This Unisex race vest is Alastair’s choice for long trail runs.